We are excited to help out again this year with the Hillsborough Balloon Fest. This weekend event offers something for everyone: carnival rides, stage acts, a variety of food, the incredible hot air balloons, and more. 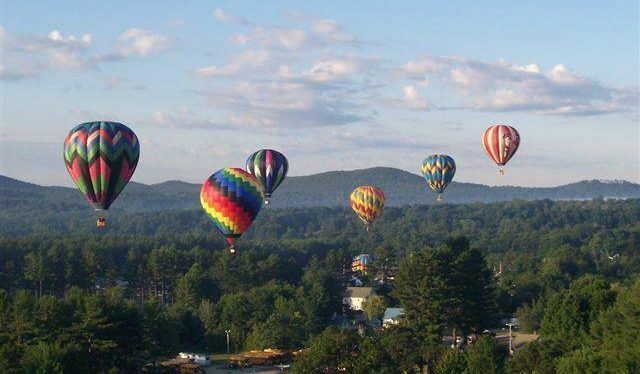 The Saturday evening fireworks are one of the premier fireworks displays in all of New Hampshire, there’s a parade on Sunday, and the balloons go up at 6 a.m. and 6 p.m. each day. 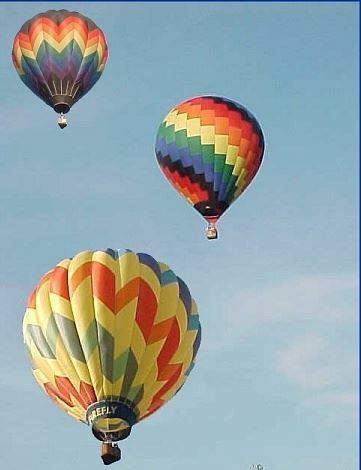 NEW THIS YEAR There will not be a NHGSA staff member on-site at the Balloon Fest & Fair, if you would like to volunteer you can sign up using their volunteer system: http://signup.com/go/NLzriyO. When you arrive for your shift, you will check in at the administration table. Our contact for this event is the Hillsborough Chamber’s Executive Director (and NHGSA Center Manager), Ginks Leiby. 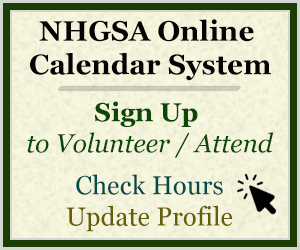 Ginks will make sure that your hours are reported to NHGSA so you can get credit for them. 3) Review the options listed and choose the spot(s) you like. 4) Sign up! It’s Easy – you will NOT need to register an account or keep a password on SignUp.com. Their 2018 schedule isn’t quite finalized yet, but the hours are generally late afternoon/evening on Thursday and Friday, with balloon lift offs (weather permitting) in the early morning and evening on Saturday and Sunday, and then the carnival and entertainment open around noontime on Saturday and Sunday. Parking Lot Cashier: Handle the cash at the main entrance to one of two parking lots. $10 per car. This job is mostly standing. Food Tent Attendant: Keep the food tent area neat and clean, picking up trash off the ground, clearing containers and food off the tables, washing the oilcloth tablecloths, answering questions as needed from visitors, and letting the grounds people know when a trash can needs to be emptied. There are lots of opportunities to get off your feet with this job. Grounds Cleanup: Empty trashcans, replacing the bags, and also replace toilet paper in the port-a-potties as well as paper towels at the hand washing stations. Gloves are provided. Shifts are flexible. You are needed for about 15-20 minutes out of every hour. There are lots of opportunities to get off your feet with this job. Parking Lot Attendant: Work in the outer reaches of the parking lot directing visitors to parking spaces to ensure space is used efficiently. This job requires a lot of standing. Parking Lot Flagger: Work on Henniker Street to flag cars into the correct parking lot A (Preston Street Field) or B (Osram lot.) This job requires a lot of standing. Administration Table: Answer questions of all kinds about the event, the balloons, and the Hillsborough area, answering performer questions (if any), selling t-shirts, etc. You can sit at this job. A note about Ticket Booth and Bracelet Attendants, from event management: There is one job we prefer that GSAs not register for and that is the ticket booth. We want to provide this opportunity to long-standing local volunteers. There are other jobs where volunteers can sit down frequently as needed – groundskeeping, table clean-up, and the admin table. Groundskeeping and table clean-up require working intermittently and then seeing the fest and going back to the job off and on. If these shifts are unfilled the week of the event, you are welcome to sign up for them. All GSAs are eligible to volunteer. Orientation will happen on-site with event managers. Please wear your GSA uniform: GSA shirt, khaki pants/shorts/skirts, name tag, and comfortable shoes. In addition, since this event is outdoors, be sure to dress for the weather – layers for cooler mornings and evenings, rain gear as needed, sunscreen, etc. Event difficulty level varies depending on the job. Generally you will need to be on your feet for part of your shift, but check the specific job descriptions for more details.